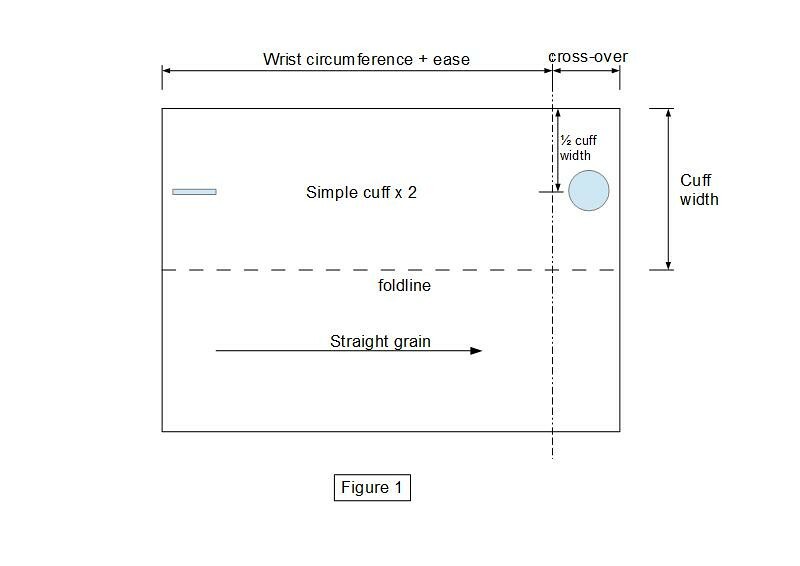 Continuing the custom shirt series, the third chapter is dedicated to the construction of cuff patterns. If only I could decide, shirts would never have cuffs. Their precise construction and assembly seems tedious and unlikely to succeed on the first try. Meantime, I cannot agree more that custom and made-to-measure cuffs give a neat look to a shirt. So I struggled to understand how cuffs are made and the answer came from ESMOD book “Women Garments: vol 1”. There are “simple” cuffs like those I will describe here, and “musketeers” cuffs which are returned cuffs, worn with cufflinks. the wrist circumference increased by the ease (between 3 and 4 cm). You normally decided these measurements during the construction of the sleeve pattern. Also provide an amount of overlap equal to width of buttoned tab on sleeve and seam allowances. 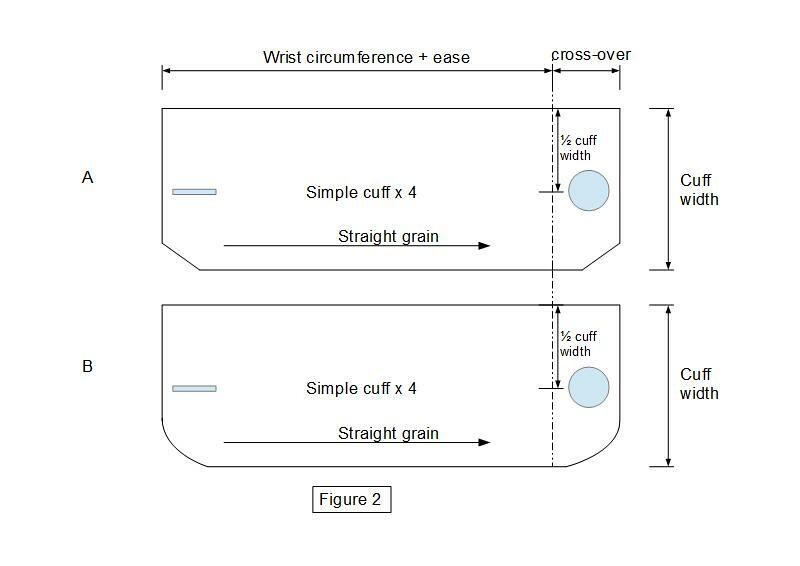 If your cuff width exceeds 5.5 cm, it must follow the arm’s shape and be enlarged lengthwise as well. 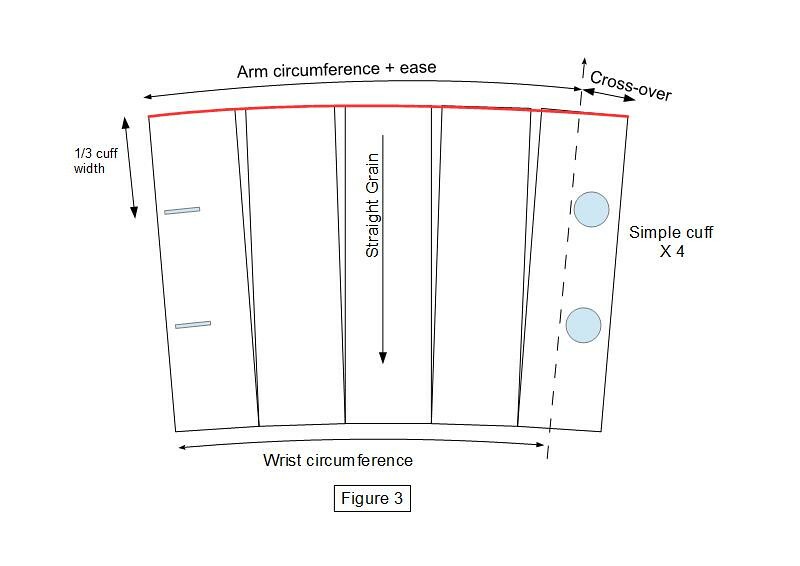 Cut your pattern in 5 rectangles and spread them apart equidistantly to obtain a value equal to the arm circumference (with ease), as shown in Figure 3. I hope you found this exercise useful and will come back soon for next tutorial.